Job Description Division OverviewGuvera is a place for music lovers to interact with their favourite bands and musicians, to ingest everything entertainment and to become part of a community that is informed and inspired to be part of the bigger music and culture picture. Guvera’s editorial team is committed to the creation of quality written, photographic and video content that gives Guvera members a music and entertainment experience they can’t find anywhere else. Guvera’s editorial team does all this while having a good laugh and not shying away from the quirky or the viral. 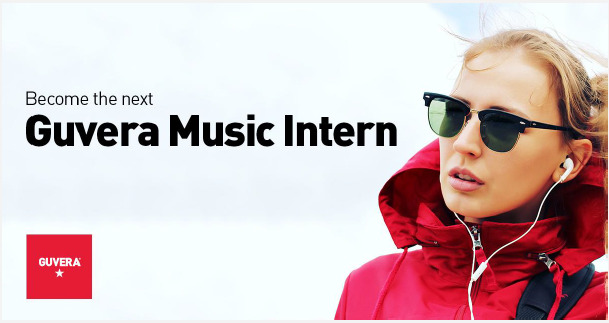 Working as part of the Guvera editorial team and reporting to the Guvera Indonesia/Asia hub manager and editorial HQ, the Music Journalism Intern will work with the wider Guvera team to determine the daily and weekly editorial direction for Guvera Indonesia’s key music channels. They will then research, pitch and create both written and visual content for the Guvera app. A typical day in this role will entail first checking all relevant news outlets for what’s making headlines, what’s trending, etc, researching then pitching stories, creating and uploading content to the platform, planning and working on larger features and any other relevant task the hub manager and marketing manager sees fit. – The Music Journalism Intern will have a degree in journalism or at least be studying a relevant subject at a recognised tertiary institution. – Excellent written and verbal communication skills, being able to write in a range of different styles and possessing top-notch editing and sub-editing skills. The Music Journalism Intern should also be adept at interviewing people from many walks of life. They should be fluent in English and have the ability to translate English copy into Bahasa Indonesia on a daily basis. – Photography and /or videography skills, as well as content management experience is highly desirable. – An in-depth understanding of quality journalism and reporting. Able to translate an idea into a successful story with limited supervision. – A solid grasp of the global music industry. A good list of industry contacts is highly desirable. – Excellent relationship management skills. – Working knowledge of InDesign, Photoshop and office applications. – Ability to meet frequent, tight deadlines. – Willingness to work outside of normal business hours in order to cover events, concerts and festivals. – Able to work autonomously as well as part of the larger team of music curators, sales people and marketing managers. – Able to take constructive criticism on the chin, applying this knowledge to their work instantly. – Open-mindedness with a passion for music and getting the job done to the highest standard. – Ultimately, the Music Journalism Intern will live and breathe Guvera, and work alongside the rest of the team to take this new content launch to the top of the music and entertainment news pile. – Willingness to travel from time to time. 1. To ensure the content and the music channels it is housed in are maintained and updated daily and presented in the best light so as to retain Guvera users and attract/retain the brands Guvera partners with. 2. To work closely with the local and global teams so as to be in line with Guvera’s content strategy the requirements for their editorial. – Researching, pitching and writing articles across a range of styles and formats. – Keeping on top of events and other happenings in order to cover them in features and photographically. – Identifying subjects and arranging interviews. Commercial to produce advertorial content when and as needed. – Updating the app database with new content daily. – Contributing to Guvera’s image archive on a weekly basis. Company Description Australia-born Guvera is one of the world’s fastest growing music streaming services, supported by a multi-skilled, global team working at the intersection of tech innovation, music, people and brands. Guvera is focused on providing music in a unique, brand-funded model where both music labels and artists are properly rewarded.Guvera offers an immersive music and entertainment experience for its members through genre-based discovery and a brand channel environment. Our mission is to become the global leader in brand-funded music and entertainment. To do this, Guvera has developed a revolutionary, patent-protected, brand-funded streaming platform. Through commercial collaboration with brands, we design tailor-made solutions to grow their businesses and deliver a music experience that consumers genuinely enjoy and that artists actually benefit from.